When I look back to my earliest days, I remember only from June through August. September through May was meaningless. 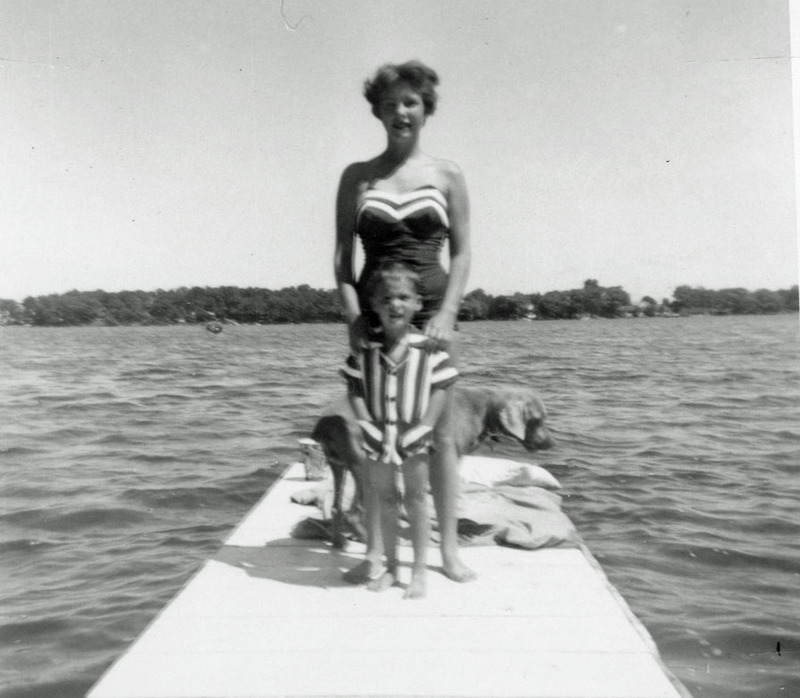 My life started every June and ended on Labor Day when we returned to the suburbs of Detroit. 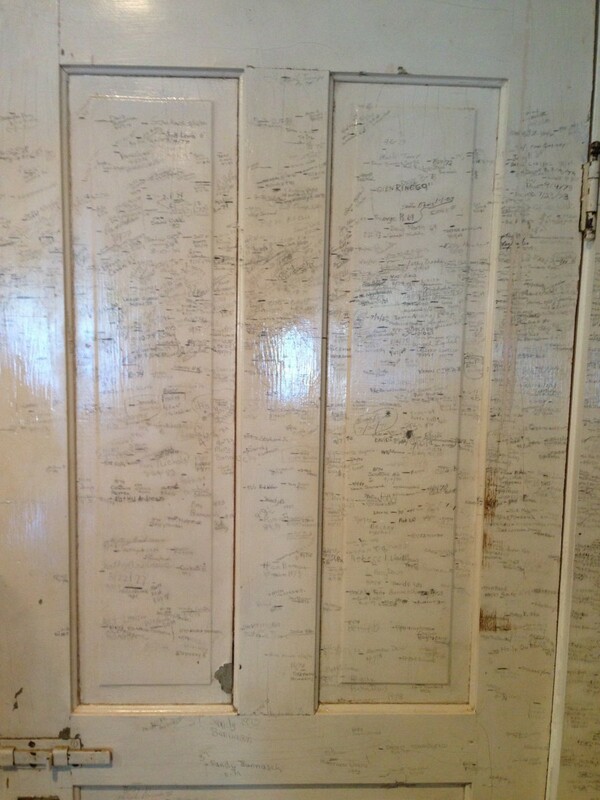 The Everys recorded heights on a door in their cottage, eventually extending to the walls. This bit of history has been preserved by the Every descendants, who still own the cottage. It all started at the Eagle Point Hotel where my family came every year starting before I was born, but I can remember from about 4 years on. The first thing I always did upon arriving at the hotel was run up the street to the Fish’s house to see my best friend Judy, the oldest of the 5 Fish kids. (Seventy years later we are still best friends.) The second thing was to run across the baseball diamond, which is now the marina, and stop in at Virginia Every’s house to be measured on her kitchen door molding to see how much I had grown. From there it was swimming off the hotel dock which we all called The Big Dock. Everyone around the hotel swam there, including guests and nearby cottagers. At night, when my parents had put me to bed, I would look out the screen window and watch them walk through the little park in the center which had lots of trees, a walkway, and bench (where the Eagle’s Nest was and is now a parking area), down the walk past the shooting gallery and popcorn stand, go up the stairs to the top of the big building on the Point to the dance hall there. I would fall asleep to the sounds of the big bands playing. When it was my birthday, Virginia Every would make me a blueberry pie instead of a cake. Virginia was a most smooth, gentle Southern lady while her husband Rollo was equally rough and gruff. We always knew he was coming by the sound of his keys. He had the biggest set of keys anyone can imagine. Rollo and Virginia owned and ran the Eagle Point Hotel. 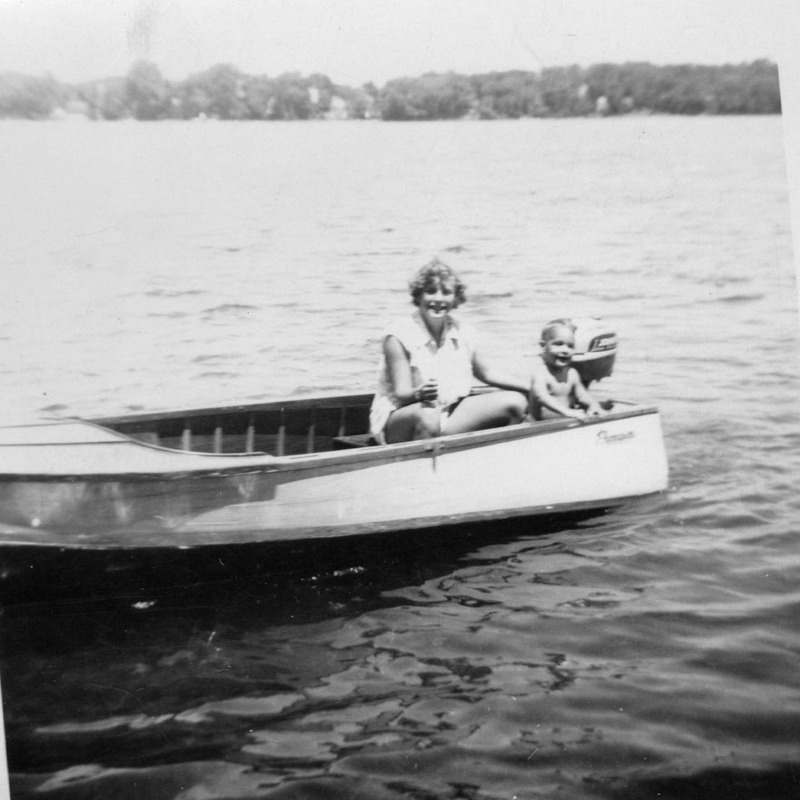 When I was about 7 or 8, my parents finally bought a cottage around the bend in the Eagle Point cove. Now we came for the whole summer. I still ran first to Judy’s and then to Virginia’s. Our greatest pleasures during the summer were tagging along after David Andrews, John Bannish and Don Nichols. They were a little bit older than Judy and I, and we worshiped and tormented them for years. They had a great fort in the woods about where the Bentley’s tennis courts are now and we would sneak in there and smoke their hidden cigarettes and mess things up so they knew we had been there. We also loved to get the best hamburgers from Bill and Iva’s beer garden at the end of the Eagle Point Hotel porch. I have never been able to figure out what made those hamburgers so good. We would take them to the sailboat dock on the east side of the Point and sit on people’s sailboats and eat and just rock with the waves. 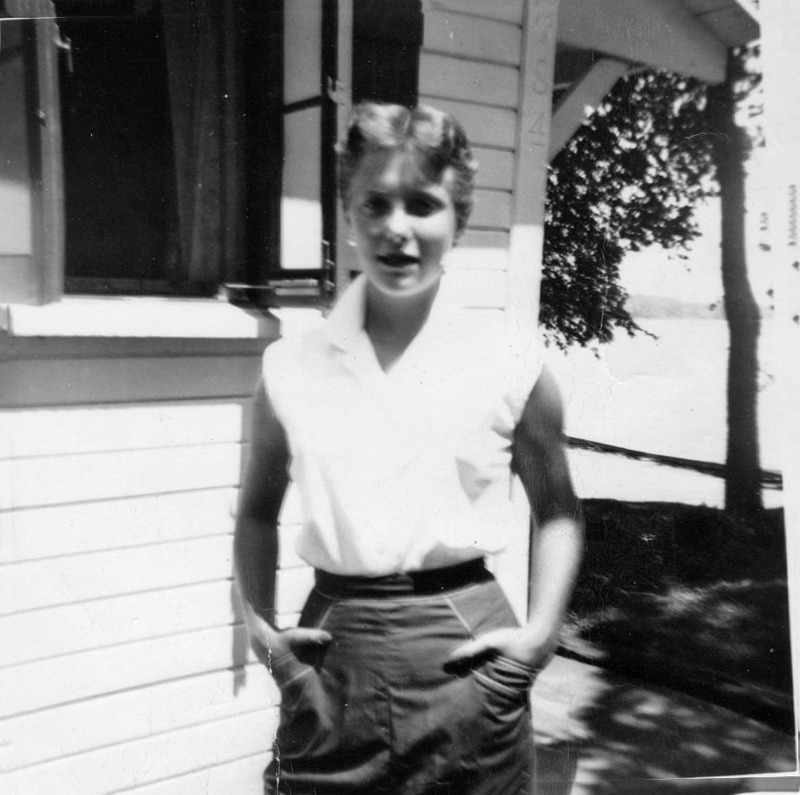 One night we tried to sleep overnight in one of the sailboats but Mary Francis Rensch saw us walking down the road with our pillows and blankets and we told her what we were going to do and she squealed on us to our parents. So, about midnight, Micky and Edna came to the dock calling our names to bring us home. Finally, when I was about 10, everything changed. I got a Johnson 5 horse motor. Freedom at last. Now the whole lake was ours. And we literally swam and played everywhere. And best of all, we now could go across the lake to the annual Consumers Power Picnic. That was the highlight of our summer. We would park the boat on the side, go immediately to the stand to get a name tag which then allowed us to consume all the free hotdogs, pop, popcorn and ice cream bars we could stuff down in one day. By this time the dance hall on Eagle Point had become a roller skating rink. Every Saturday night Judy and I skated. Before and after skating we hung around this great big swing set near the skating rink. We would chew tootsie rolls and spit brown spit, trying to make people think we were chewing tobacco. We were usually waiting for David, John and Don to come by. 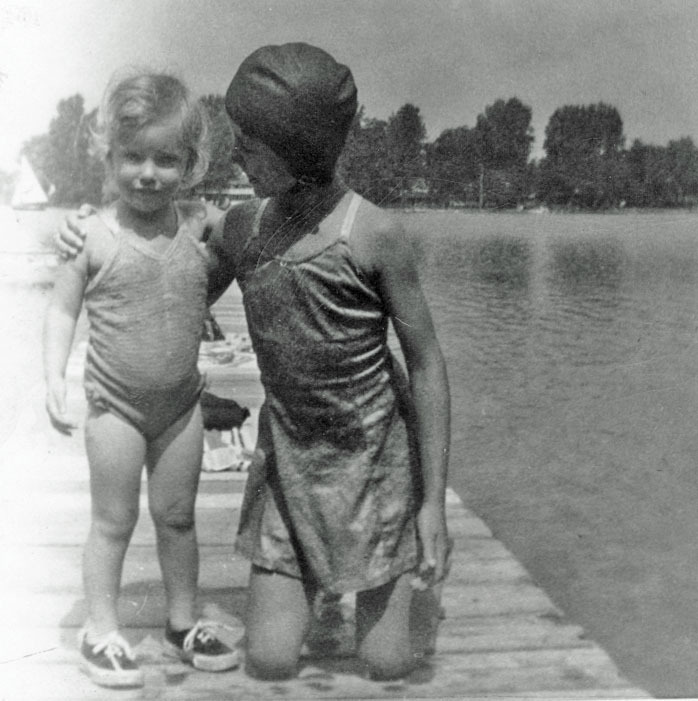 I was always getting thrown in the lake with my clothes on. One night after skating, we had pushed the boys too far and they threw us in. My mother was always so mad at me for coming home with wet clothes and hair at night. So, we were all at the end of the Point and I was complaining that I was worried about how late it was and how wet my hair was and Don Nichols piped up and told me my hair and clothes would dry faster if I took off my bra. I honestly can’t remember if I did it or not. Shortly after that we decided we would make friends with those Toledo sisters, the Patterson’s. We spent several night a week waiting for them to finish washing dishes at the Hotel. There was a screened window right above the sink where Sue would be washing and we would go to that window and she would squirt us through the screen. Later we all worked in the dining room. One night, just before opening for dinner, Sue dropped a gallon jug of green olives right in the middle of the dining room. That was the first and only time I saw Virginia lose a little bit of her graciousness. But just for a second. She quickly recovered and we got it all cleaned up just a little past opening. We would then most often go to the hotel lobby and play the best pinball machine ever made, or go see if one of the guys was at the shooting gallery, as they all needed an audience when they shot. And we loved to oblige. It was in later summers when our fun turned to stealing beer out of people’s springs. I want to take this opportunity to apologize to all those guys who went to their well for a cold beer after cutting their lawns and found it empty. By this time the roller rink was a dance hall again. And it was hard to find wild strawberries in the short strip of woods on the east side of the baseball diamond. They at one time were there. During my junior and senior years in high school I lived at the lake all year. To be continued…! Note: Carolyn’s story was first published in the View several years ago. It’s been revised to reflect changes at the lake, and photos have been added.